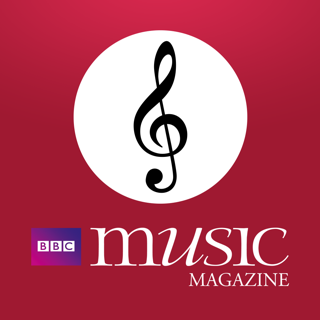 The digital edition of HIGHWAY Magazine, a biannual publication about life with music. 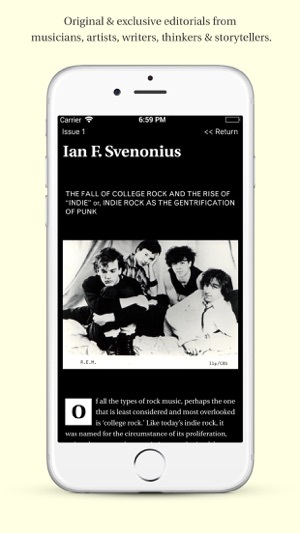 This iOS edition, along with our printed hardcopy, is a pocket-sized companion to the musicians, documentarians, writers, artists, thinkers, storytellers and objects we encounter in our life with music. 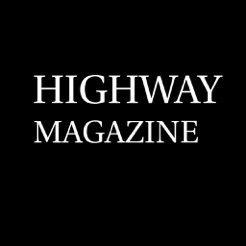 HIGHWAY Magazine explores these subjects and objects through original and exclusive short and long-form articles, essays, interviews, editorial commissions as well as through photography and other visual forms. Our select contributors’ words and images— some rare and some published for the first time— take form as suggestions and challenges to how we talk, think and live with music and sound in and around our total environment. So dig in, HIGHWAY Magazine is a conversation starter, an exploration into music culture from yesterday, today and tomorrow. Released twice a year, there’s enough time to take it all in. 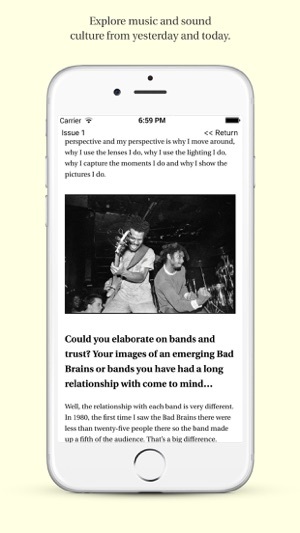 Sit back, read, discover— or rediscover— the music, sounds and opinions discussed within our pages. And in good time, our next issue arrives to your iPhone, iPad or iPod Touch device. Subscribe and support annually for $9.99 per year and you get two issues of original, exclusive and provocative words and images. Each individual issue is $4.99 and as a subscriber, you can download issues as they become available (a notification will be sent). If your subscription is not renewed, you can still access the downloaded issues from when your subscription was active. You can cancel your subscription anytime in your iTunes Store Account Settings. 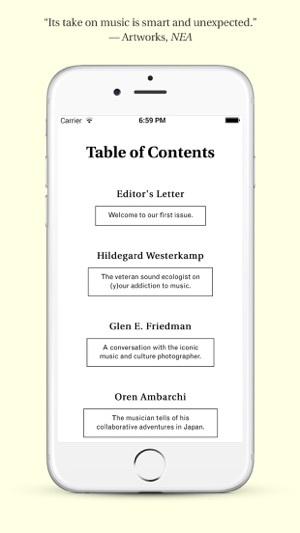 This first version of the HIGHWAY Magazine Reader has been designed for a minimal reading experience on your iPhone, iPad or iPod Touch. Issue 2 is now available. 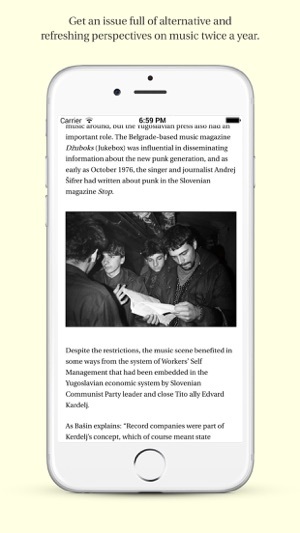 Updated reading formats and links to Apple Music.